The wait is over ♥ The ultimate Glam Glow Super-Mud pore clearing mask is here, it is the perfect exterminator for your whiteheads and blackheads! The full size product comes in a simple white pot and contains a similar colour product to the original GlamGlow. The mask is in a light dusty charcoal shade and has real pieces of eucalyptus leaf inside. The consistency is smooth and creamy, it does dries up pretty quickly after applying! ACNECIDIC-6™ 4.4%: Balance PH level to deal with damaged skin, de-clog, and minimize pores, pigmentation, scaring, and breakouts. K17-Clay™: Extracts and encapsulates excess sebum oils, bacteria, and toxins in a controlled stasis state. TEAOXI™: Delivers daily fresh natural eucalyptol, natural-linalool oil, and powerful flavonoids direct into the formula from real pieces of eucalyptus leaf. As you can see, all of the oil and grime are coming out of my pore as the GlamGlow mask dried. 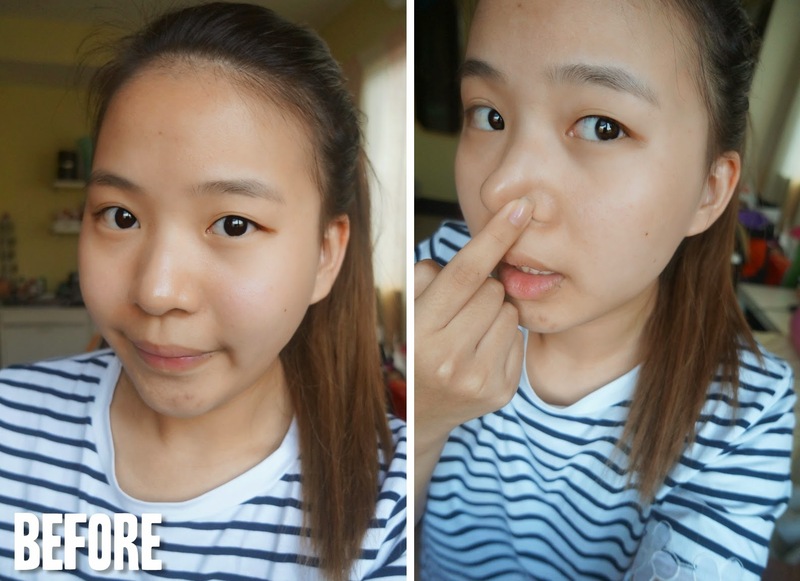 It's really disgusting yet so satisfying to that your pores are being "spring clean". When I wash it off, my pores was visibly smaller! This product is indeed magical and it's one of the most effective pore clearing masks I've tried. I must say this would be best suited to oily/combination skin because of it's abilities to strip and clear those nasty pores! This mask is perfect for those with acne-prone and blemished skin, because my pimples are lesser after using this mask for two weeks. I also did apply this mask on my pimple overnight and notice how my pimple have shrink the next morning. How amazing right?